Norman Witherow is a farmer in County Donegal, Ireland. 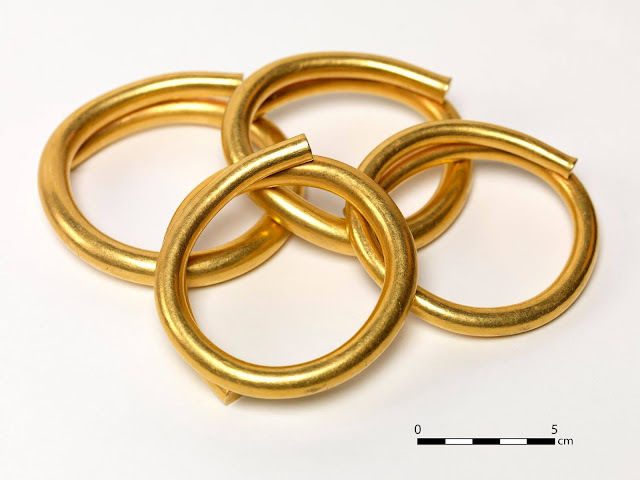 He made an astonishing discovery of four coil-shaped solid gold bracelets and they are believed to date back to the Bronze Age (2500-500 BC) or even older according to National Museum of Ireland. The items were buried two feet deep, hidden under a rock, which protected them and was covered with clay. 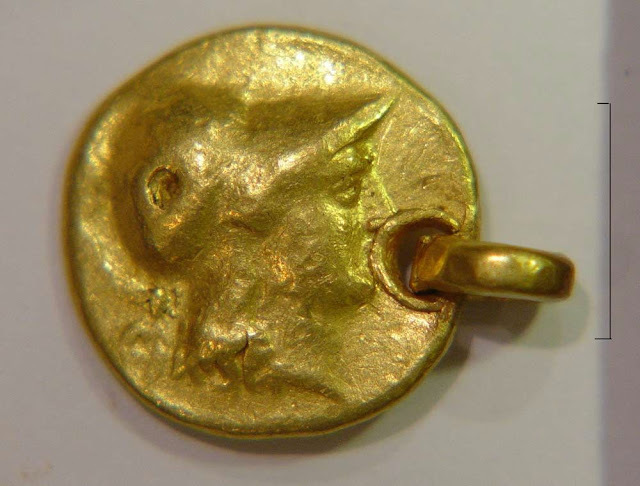 Their likely use was that of jewelry, but could also have been some form of currency. Research is currently in progress to uncover more information about them and so far there are no items exactly the same as these found. 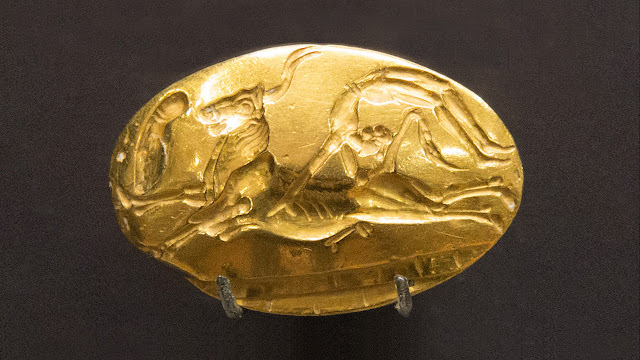 It is expected that this golden treasure will be on display at the National Museum of Ireland soon. 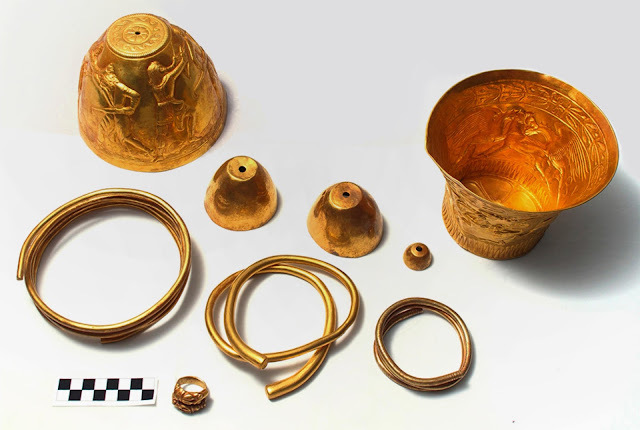 The grave of a male warrior of significant importance was discovered in a hard to reach area, about 2,600 feet above sea level in the Caucasus mountains, near the town of Mezmay at Caucasus mountains of Russia. The burial took place approximately 2200 years ago. The body of the warrior was encased with a wooden coffin of which fractions remained and he was honored by including numerous gold jewelry and placing his 36 inches (91 cm) sword adorned with gold attachments on his body, among other weapons of which one is an iron ax and another an arrow. These weapons likely belonged to or were used by him. His tribe also sacrificed three horses, a cow and wild boar to add to the grave. Among the finds are several pieces of pottery, a bronze mirror and two bronze helmets which displays carvings of sheep horns and random shapes.